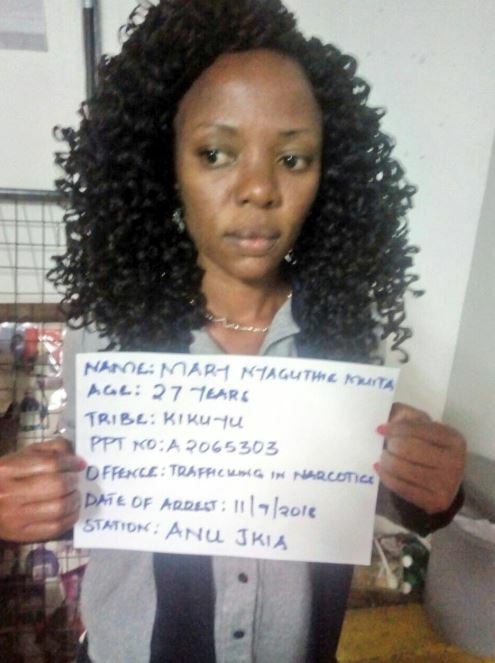 Detectives have arrested four suspects in connection with drug trafficking at the Jomo Kenyatta International Airport. 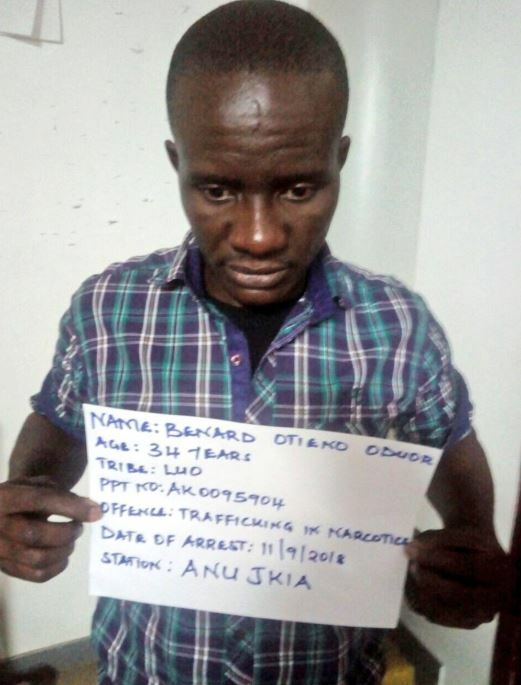 Two of the suspects – Mary Nyaguthie and Bernard Otieno Oduor – had swallowed dozens of pellets of the unidentified narcotics when they were arrested on Wednesday evening. DCI detectives said the suspects had swallowed a total of 53 pellets. Nyaguthie, 27, is said to have emitted 18 pellets while Otieno discharged 35. 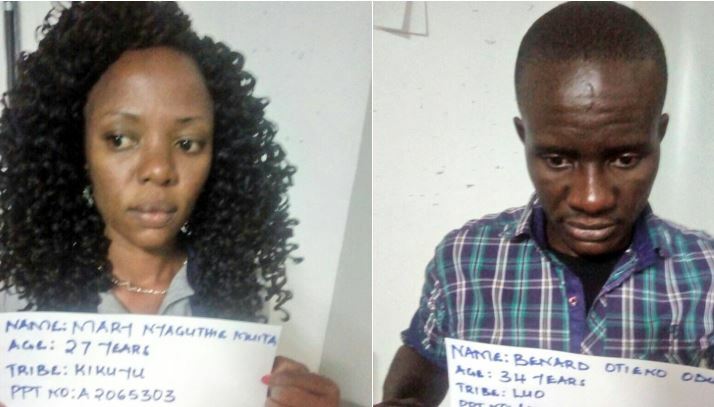 Directorate of Criminal Investigation said the two were arrested together with their two escorts; Judith Otieno Odote and Boaz Ouma. The four suspects were arraigned in Court on Thursday, with the Judge granting detectives custodial orders for an additional three days.